A treasured Cornhusker game-day tradition will be placed on hiatus this season. For six decades, fans have been releasing red balloons into the air from the stands following the first Husker touchdown of the game. However, due to a global helium shortage, the tradition will take place one more time, on September 1, before it is put on hold indefinitely. 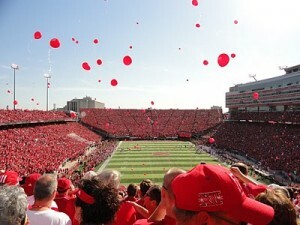 According to Husker.com, only 2,000-2,500 balloons will be released as opposed to the normal 4,000-5,000. So if you have the chance, be sure to purchase your red balloon from a vendor before you enter Memorial Stadium-it may be your last chance for a while.